Well hello to you my reader chums! 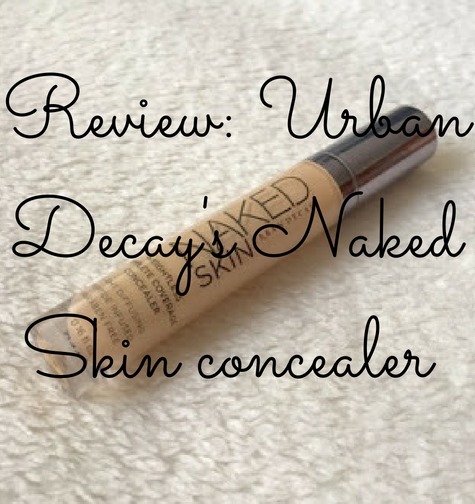 Today I wanted to write a review on a product I've been loving at the minute, Urban Decay's Naked concealer. When it comes to higher end makeup, I usually splurge on eye shadow palettes, lipsticks or bronzers, never concealers, until I bought this little beauty. After several recommendations on Twitter and reviews I've read, I treated myself, dabbling into the world of more luxurious face products. Packaging: The overall design is stunning, with a complete transparent tube and spaced out grey writing spread across, for me it screams luxury, certainly living up to the high end name. I love how the lid is slightly metallic/mirrored and it has a doe foot applicator, making the blending process easy. Applicator: As I said, the concealer comes with a doe foot applicator, my favourite type when using tubed products. The applicator is flat and slightly wider than typical ones I've previously tried from other concealers meaning you're able to cover more of an area in one stroke. It applies generously, yet can be build in layers and I've found holds a lot of product, therefore you won't need to re-dip. Consistency: The concealer claims to be 'complete coverage' with a 'weightless feel' and it completely lives up to that. Even though through application, the consistency is thick and ultra creamy, once blended in it doesn't feel cakey at all but extremely light on the skin. I love this aspect because you'll get that well needed coverage without having to pile layers of product on. Coverage: One of my favourite things about this concealer is it's coverage. 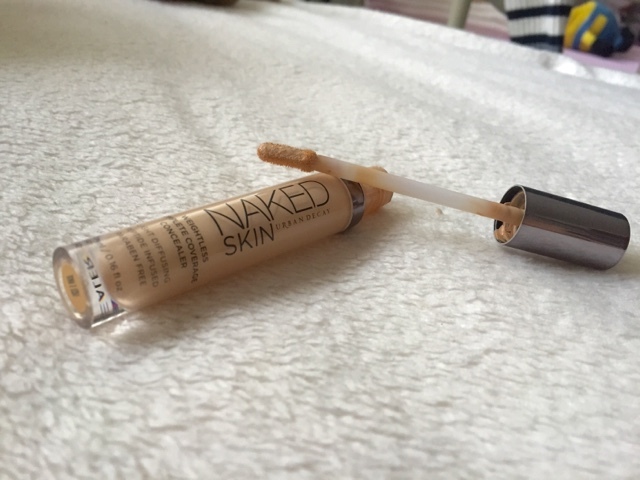 I would say it's medium to full and despite the thick consistency, the concealer has the ability to not only build yet hide any imperfections - I love it. Colour: I picked up the shade 'Light warm' as when I went to the Urban Decay counter, it was recommended by one of their consultants. The colour is slightly lighter than my skin, however this means it doubles up as a highlighting shade and under eye concealer. The concealer is rather yellow based, perfect to even out the overall skin tone and help cover blemishes. Lasting power: I like to use this concealer on night outs, parties or when I want my makeup looking extra nice as I feel it's such a luxurious, thick product. Therefore when it comes to lasting power, it does truly stay put, ensuring my under eye bags are not seen for a long time! Would I buy it again and was it worth the splurge? Yes and yes. 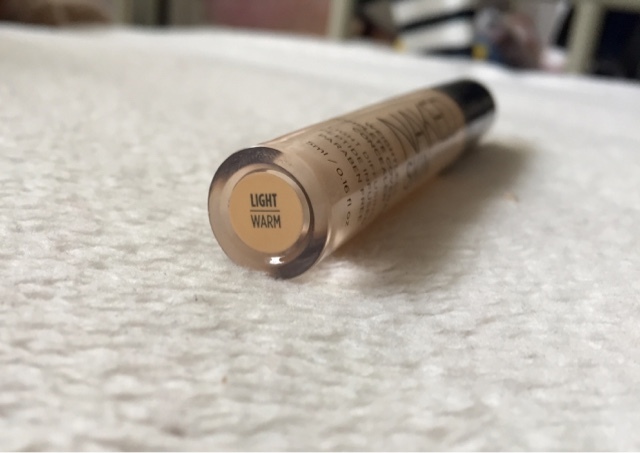 I was quite hesitant initially because of the hefty price tag especially when I already adore drugstore alternatives like Rimmel's wake me up concealer, however I truly love this. As it's higher end, my base makeup feels that extra bit special when I use this and I absolutely love the coverage, consistency etc. Overall, it's incredible, definitely worth the hype, splurge and all the previous lovely reviews I've read. I hope you enjoyed this review. Have you tried out this concealer? I'm so glad to hear this is worth the hype. I'm umming and aahing between this and one of the NARS concealers! Sounds perfect! Have you tried the MAC pro-long wear? If so which one would you say is better? 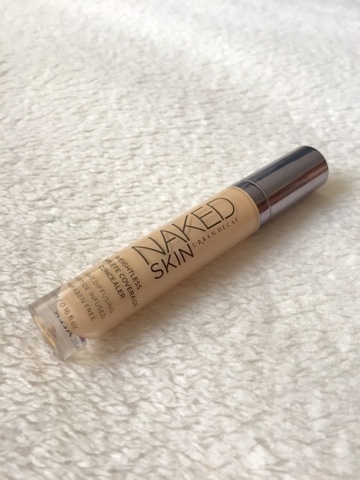 Absolutely love this concealer! Just did a whole review of my favorite concealers on my blog! I want to buy another one in a lighter color so I can use it to highlight! A must have in anyone's collection! I have their foundation and I love how weightless it feels on my skin. I've been thinking of getting their concealer for ages after seeing so many reviews, as soon as my Nars has ran out I'm going to pick this up. I really want to try this concealer as I too have heard such great things about it. I've just purchased the naked skin foundation from urban decay and love it, so am definitely tempted to try this too!! Great review and lovely blog!! I want to try this so much! I loved the Nars Radiant Creamy concealer but I've heard so many good things about this that I'm going to have to get it! I've been wanting to try this for so long! I hear so many people rave about it, some even saying it's better than the Nars creamy concelaer - who would've thought?! I love your blog name by the way!